Mark Rushberg cautions people from just blaming the LSD. “People take LSD all the time without burning down half the city,” says Mark. “Yes, the LSD is partly to blame for what happened, but at the end of the day, the fact that LARPers brought so much destruction to Montreal emphasizes the dangers of role playing games. 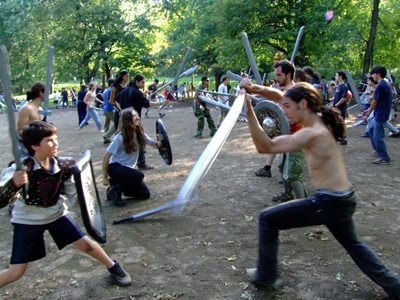 We need to put an end to LARP before LARP puts an end to Montreal."